This is the year to get those quilt tops out of the closet! 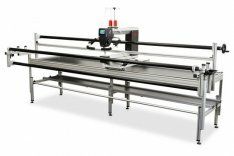 This class will certify you to operate the Q24 longarm for in-store rental! We will cover the basics on how to operate the machine for free-motion, ruler-work, and pantograph. 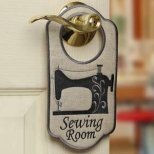 You will learn how to properly maintain the machine, thread the machine and wind bobbin. All materials will be provided. This certification class will allow you to rent time on our Q24 for free-motion quilting, which includes pantograph tracing and ruler-work. A second certification class is required for use of the Q-Matic - this is a prerequisite for the second class. 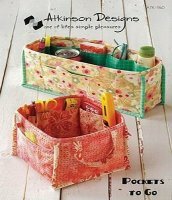 These fun organizers make great gifts! Stitcher's Quest will be closed for Thanksgiving Holiday Wednesday-Friday, November 22-24. We will be open on Saturday, November 25 for Small Business Saturday Sale. 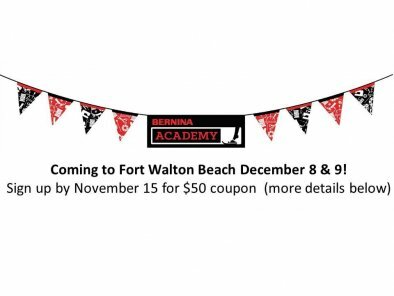 Stitcher's Quest will host this two-day BERNINA Academy event at Brooks-Beal Center in Fort Walton Beach. 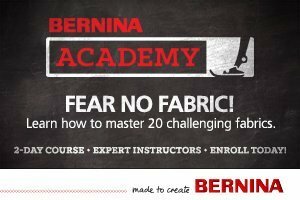 BERNINA Educator Michelle Kratzer is our guest speaker. Bring your adventurous spirit! USB Stick, lunch both days, and use of BERNINA machines included. Attendees will leave with a completed reference book on sewing techniques. Register prior to November 15 and receive a $50 coupon for day of event. 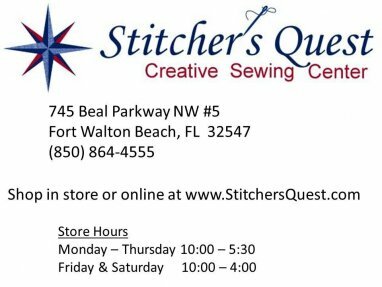 If you are considering a new sewing machine for yourself or as a gift, this is a don't-miss opportunity. The EVENT SPECIALS will be AWESOME!